As autumn started about a week ago, I thought it would be fun to film a autumn / fall lookbook video! I teamed up with Joy, who was also planning on filming a lookbook. Be sure to check her YouTube channel, as well! The lookbook shows 5 outfits, and I tried to make it a nice variation. There are outfits with flats and heels, and also pants, skirts and dresses are all represented! I filmed this lookbook a little bit different than my previous ones. So I’m super curious to hear which way you prefer! Anyway, which of the 5 outfits is your favorite? And what do you like to wear in fall? Click here if you’re watching on your mobile. Which of the 5 outfits is your favorite? And what do you like to wear in fall? 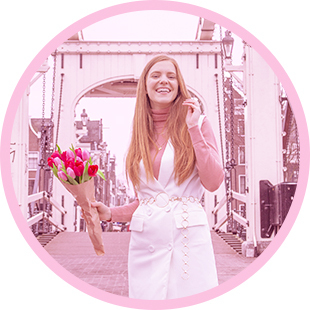 Wat een leuke lookbook is het geworden! Ik vind vooral outfit 5 heel erg leuk! De schoenen van outfit 4 zijn pretty en wauw die paraplu <3!